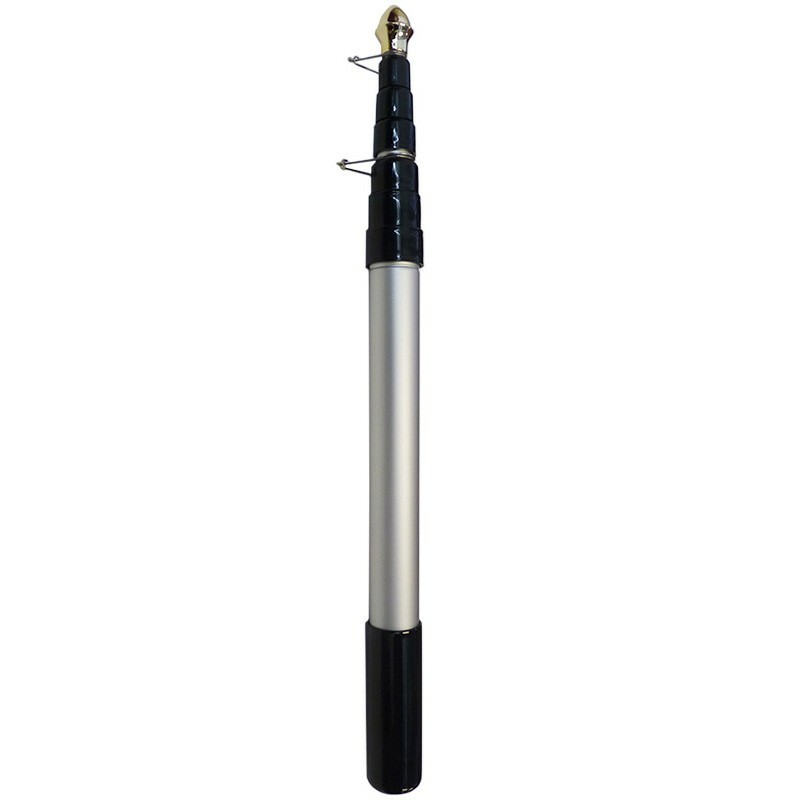 This portable, telescopic aluminum flagpole is easy to travel with and great for any sports events and parades. 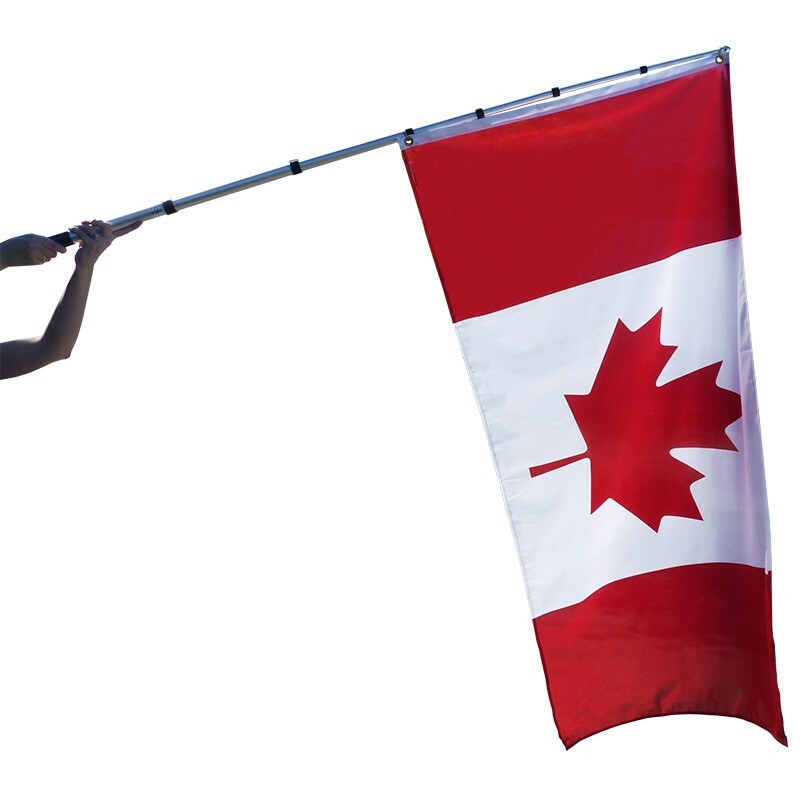 Use this telescopic flagpole for various flag sizes, from 12"x18" flag to maximum 45"x90" flag (largest flag size), however, the largest suggested flag size is 3' x 6' (see demo picture above). Designed and patent in the USA. Extend each section of the pole. Starting with smallest tube. Lock each section by twisting tube 1/4 turn. Open clips by squeezing two legs together to unhook. Attach top grommet of flag to the top clip squeeze clip together to lock. Attach bottom clip to bottom grommet of the flag, slide clip down pole so that the flag is taut, and squeeze clip to interlock legs together again. Or make sure the bottom clip is locked and rested in the groove before twisting and locking the sections between the top and bottom clips.